OPEN HOUSE! 264 Federal Twist Rd; Kingwood Twp. OPEN HOUSE! 75 Sidney School Rd; Franklin Twp. FROM RT 78 EXIT 15: LEFT ON 513 SOUTH THRU LIGHT TO LEFT ON SIDNEY ROAD, ABOUT 2 MILES TO LEFT ON SIDNEY ROAD TO #75 ON LEFT. 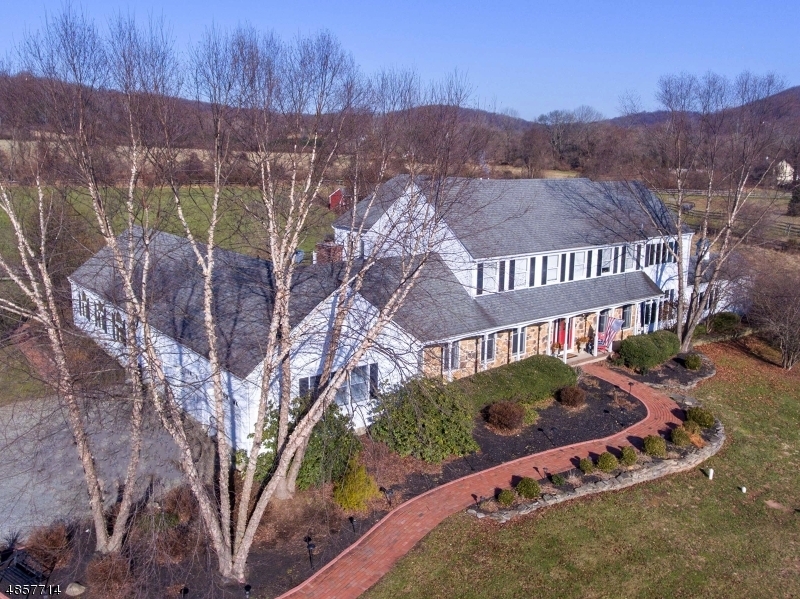 A THREE BEDROOM & THREE FULL BATH CUSTOM COLONIAL SPLIT ON A VERY PRETTY LEVEL & OPEN 3.01AC LOT WITH A PRIVATE WOODED BACKDROP, LOVELY VALLEY VIEWS, AND A TRULY GREAT LOCATION LESS THAN TEN MINUTES FROM TOWN ON AN EXCEPTIONALLY BEAUTIFUL QUIET COUNTRY ROAD. THIS IS A PERFECT PROPERTY FOR A CRAFTSMAN, MECHANIC OR CAR COLLECTOR, WITH TWO LARGE MORTON BUILDINGS WHICH ARE ATTACHED TO EACH OTHER, MEASURE 50X30 & 38X30, AND ARE CAPABLE OF HOUSING UPWARDS OF SIX VEHICLE. THERE IS ALSO A THREE-CAR ATTACHED GARAGE AND A SEPARATE 28X14 METAL STORAGE BUILDING. THE FRESHLY-PAINTED HOME IS SET FAR BACK FROM THE ROAD, AND FEATURES A NICE OPEN FLOOR PLAN WITH NEWLY REFINISHED HARDWOOD FLOORS, AN EXPANSIVE VAULTED CEILING GREAT ROOM, A 21X15 GLASS ENCLOSED SUN ROOM, A PARTIALLY FINISHED WALK-OUT BASEMENT, AND SO MUCH MORE! OPEN HOUSE! 4 Nicole Terrace; Lebanon Twp. 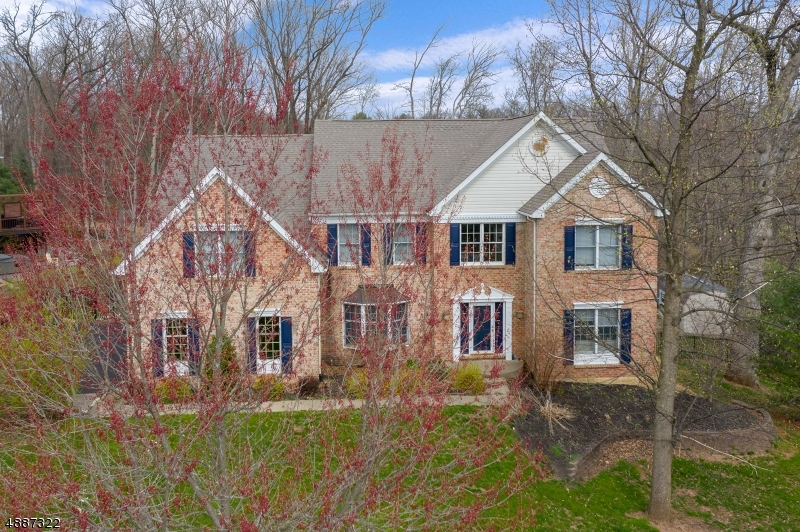 A LOVELY, BRIGHT & SUNNY, 3745 SQ FT 5BR & 3-1/2 BATH COLONIAL ON A VERY PRETTY 5.49AC LEVEL LOT WITH A GREAT LOCATION IN A SMALL CUL-DE-SAC COMMUNITY JUST 11 MINUTES FROM RT 78 & THE TOWN OF CLINTON. THE HOME FEATURES A HUGE 23X16 KITCHEN WITH CUSTOM MAPLE CABINETRY, A GRANITE CENTER ISLE, & SLIDERS WHICH OPEN ONTO A LARGE TREX DECK OVERLOOKING A PRIVATE BACKYARD, OTHER HIGHLIGHTS INCLUDE A FABULOUS FAM RM WITH A RAISED-HEARTH BRICK FPLC, AN ELEGANT FORMAL DINING RM WITH ADJACENT BUTLERS PANTRY, A PRIVATE 1ST FLOOR OFFICE/BR, A TRAY-CEILING MBR SUITE WITH A SITTING RM & 2 LARGE WALK-INS, A LUXURIOUS MASTER BATH, SPACIOUS SECONDARY BDRMS INCLUDING A GUEST RM WITH EN-SUITE BATH, & A FINISHED WALK-OUT BSMNT WITH AN OFFICE WITH BUILT-INS, A 36X14 REC RM W/HOME THEATER, & A 29X13 WORKSHOP WITH A BUILT-IN DUST VAC. OPEN HOUSE! 4 Bristol Ct; Clinton Twp. OPEN HOUSE: 251 Mt. Airy Rd; Lebanon Twp. OPEN HOUSE: 437 Old Main St; Franklin Twp Warren Cty. 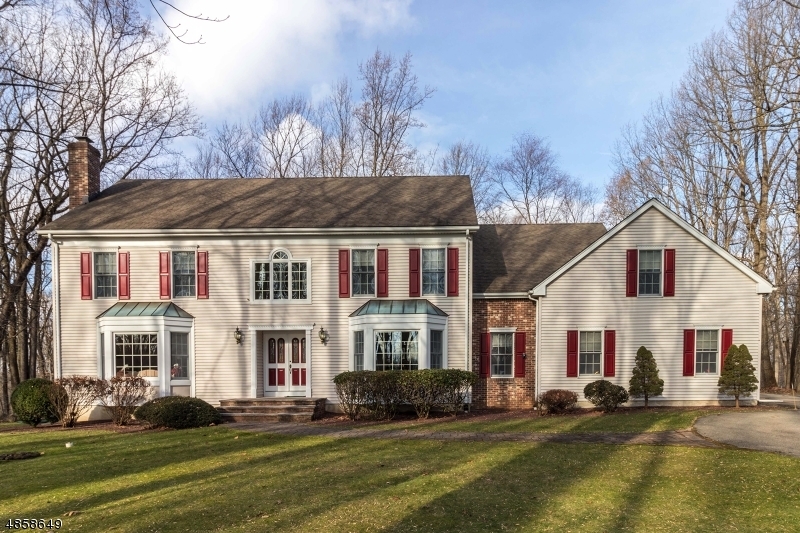 OPEN HOUSE: 21 Wyckoff Dr; Union Twp.